I finished the back of the relief sweater several days ago. 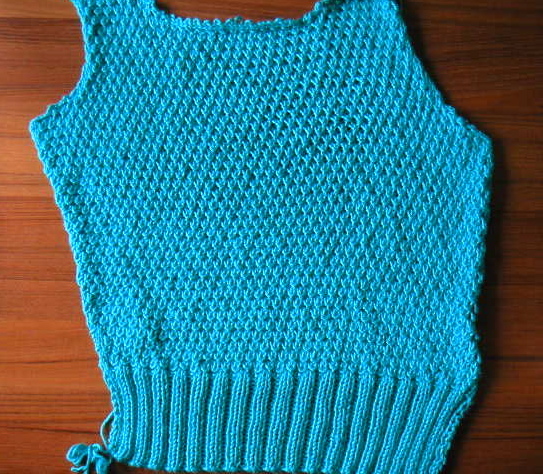 It leans to the left because of the nature of the relief stitch pattern. I think it will be fine once it's blocked. The front is turning out the same way, so I don't think I'm doing anything wrong. Or at least, I hope I'm not! I also started my next sewing project, another Built by Wendy coat, last night. I cut out the pattern on Saturday and it took forever. I had to cut the fabric and transfer all the markings, as well as the lining, and the interfacing. I was watching TV at the same time, so I wasn't working continuously, which would explain the two-hour duration. Once I started sewing though, the project went by fast. I love the raglan sleeves–sewing them in makes everything so much easier. 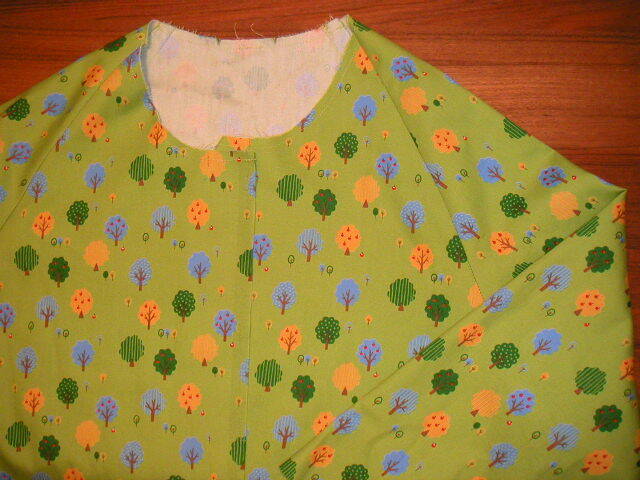 I have to attach the collar and then it's on to the lining. This coat could be ready to wear by the end of the week!